Every family should establish a clear plan to handle an emergency that occurs during school hours. Unfortunately, many parents mistakenly believe that filling out the school’s emergency card is sufficient. Sadly, this practice falls far short of what is truly necessary to protect your children in the event something tragic happens to you during the school day. 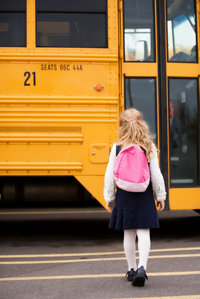 Even with a fully-completed school emergency card, your children could still spend time “in the system.” The emergency card only gives permission for certain named individuals to pick up your children if they are sick, but does not authorize them to take short-term custody if one or both parents are killed or become incapacitated. Without having alternate arrangements in place, children in this situation would likely end up spending at least some time with social services. Parents should create an emergency plan, to avoid confusion and ensure their children are in the right hands if tragedy strikes. With just a few simple steps, parents can rest easy knowing their children will be cared for in the manner they choose. Parents should name short-term guardians who have legal permission to care for their children until a parent or other long-term guardian is available to take over. This individual should be someone who lives nearby and can aid and comfort your child in an emergency. You can establish this temporary guardianship arrangement by completing a temporary guardianship agreement or authorization, preferably, with the assistance of a qualified attorney. In addition to listing neighbors or friends who are authorized to pick up your children from school, .it is also vital that you list the full contact information for your authorized temporary guardians. In the event of a true emergency, this guardian can step in immediately to care for your children. Otherwise, your kids may wind up in the custody of social services until a parent or other named legal guardian can be located. Make sure you give your babysitters detailed instructions regarding who to call or what to do in the event you are unexpectedly absent. Without this information, many babysitters will panic and contact the police. Involving law enforcement will also involve social services who may step in and take temporary custody of your children until a long-term guardian or parent arrives. These three simple steps will make all the difference for your children and their caregivers in the event the unthinkable happens. In times of tragedy, the last thing you want is for your little ones to end up in the system, rather than the loving arms of a trusted friend or relative.